There used to be a little store along Colin Street where you could go to do cooking classes. This closed down or moved it may have been, earlier in the year and recently someone new moved it and they called it Papa Wok. 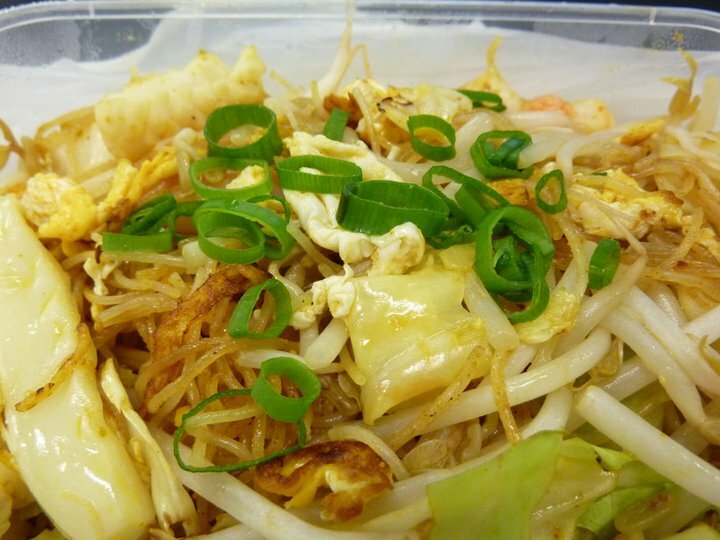 So as the name would suggest they offer a range of Asian noodle and rice dishes. It is very early days (I think I was there for their first week of operation) and so the fit out was pretty basic when I was there. Did the job though and honestly the service was just so friendly and I wasn’t eating in so it was more about the food than how the place looked for me. So the available choices were written up on a whiteboard though we were assured that a fancy new menu board complete with pictures was on the way. 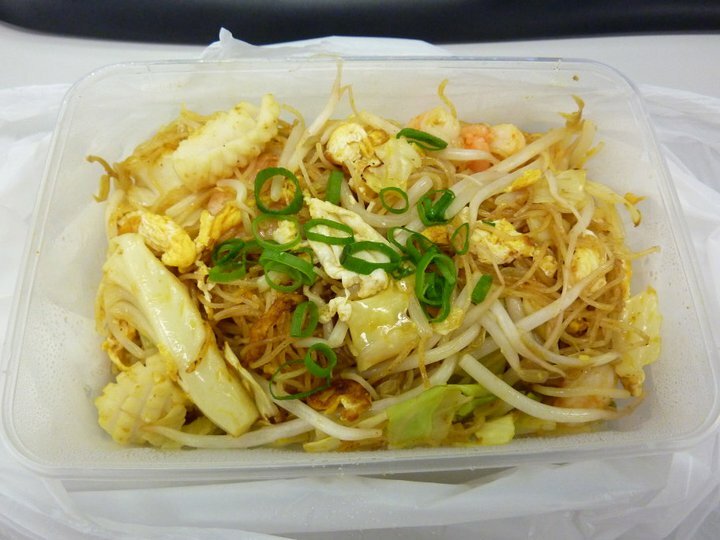 I decided I would give the Singapore Noodles a go and my workmate who came along with me went with the Pad Thai. Everything costs $9.80. Everything is made fresh to order so that’s a big plus. I was pleased that my dish wasn’t crazy oily which is usually what puts me off some noodly dishes. These noodles were tasty and had a great combintion of squid, prawns, chicken and some egg throughout. I had wished perhaps for a few more vegies, but that was my only real downer on the dish. 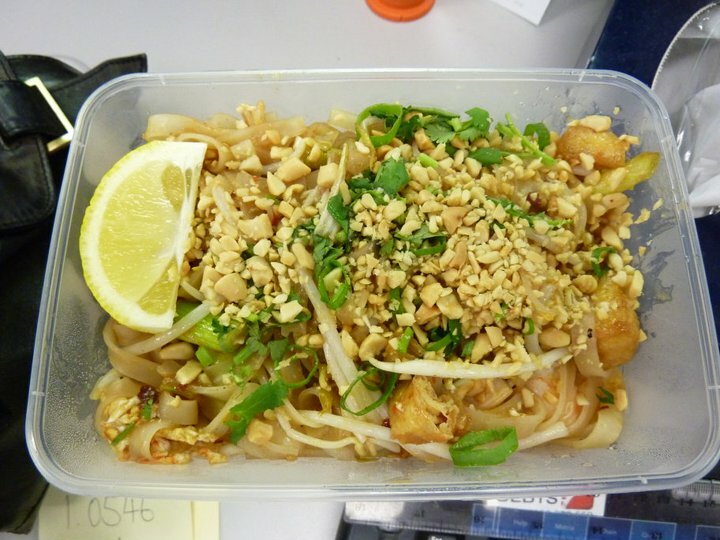 From all accounts the Pad Thai was tasty and worth a return visit. Definitely presents well – nice and fresh with a lemon wedge for your own zesty addition. They are a new kid on the block so I might give them a few more weeks to settle in and will then head back for a return visit.